Fargo half is almost here…and more on racing and running! I think I am ready for this Saturday’s Fargo Marathon Half-Marathon race! I may not have followed the training schedule as well as I did when I trained for the Rock-n-Roll San Jose Half-Marathon, but I still trained and I feel good. Pretty good, actually. I’ve ran a few long runs – 8 miles, 10 miles (a couple of times), 11 miles and even a 12-miler. I’ve had some good times, slow times, decent times and horrible times, but nonetheless, I think I am ready. I am actually kind of excited, to be honest. One of the best parts is that I feel like with just the little while I have been taking my asthma medication (Pulmacort inhaler twice a day), my asthma is better under control. We raced this past weekend and my breathing seemed to be better. I wasn’t huffing and puffing as bad as before and I only used my regular inhaler (Albuterol) twice during our first race and I didn’t use it at all during the second race. AND…the best part, I didn’t really have coughing attacks after either of the races! For me, as of late, that is pretty big news. 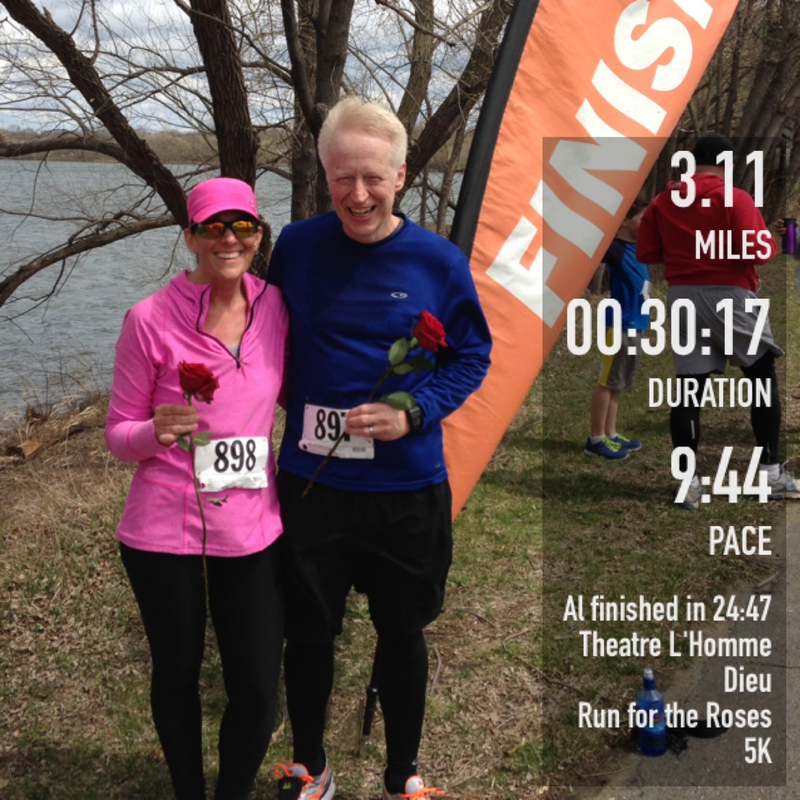 So yes, the hubster and I raced twice this weekend – we ran a 10K on Saturday morning in Glenwood and a 5K Saturday afternoon in Alexandria. We’ve never done back-to-back races quite like that and I have to admit, it was a challenge, but it was also a lot of fun! This was taken after the Minnewaska Warmup by a guy we met. He just turned 70-years-old and started running last year. Turned out he was from the area I grew up in and I actually knew his son, who happened to graduate with my brother! Small world! It was fun talking to the guy, who said he plans on running in at least 7-8 races this year! Rock on, Ken! You are a true inspiration! My hubby ended up placing 3rd in his age group for this race. So proud of him! Yes, it was a wee-bit chilly with the wind blowing off the lake! We were grateful for the sun shining, but the wind, not so much! Felt like you were running in place half the time – at BOTH races! This was taken after the second race, which was a fundraiser for Theatre L’Homme Dieu. Being that is the Run for the Roses, all participants received roses after they crossed the finish line. For a first-ever race, the event was very well run and organized! Kudos to the organizers! I was pretty happy with my time at both races! 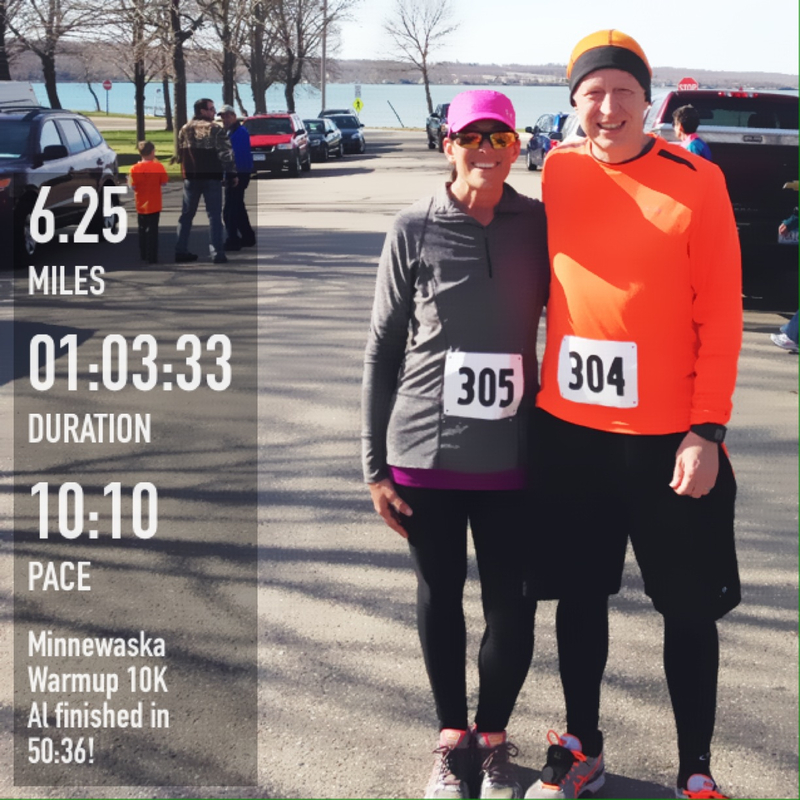 I actually ended up getting a PR (personal record) for this year for a 10K. I was pretty stoked! 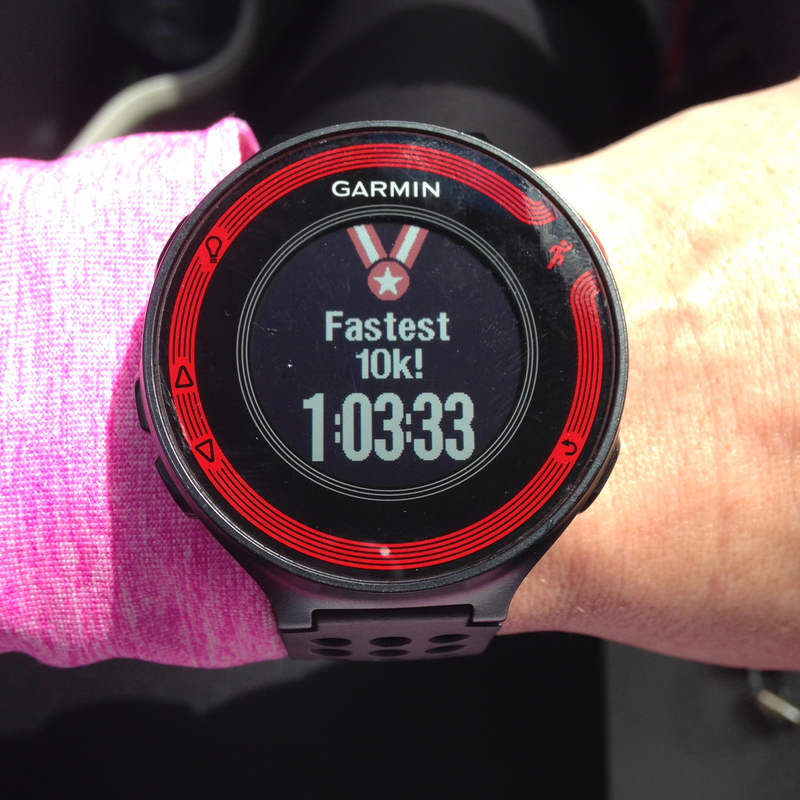 And I love when my Garmin displays my new records. It gives me that little extra motivation I need some times! 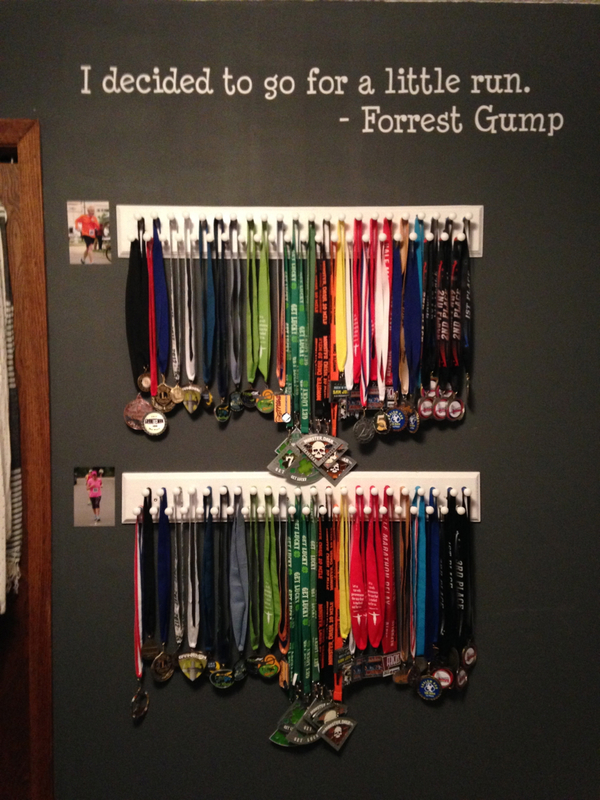 Over the course of the last few years, my hubby, Al, and I have really taken to running. We love (most) everything about it, especially participating in races. Since 2009, when we ran our first-ever 5K, we have acquired several racing medals – most are just participation medals, but some are actually “winning” medals, such as winning 1st, 2nd or 3rd in our age groups. Yes, even I have won in my age group! Our medals have just been hanging on a couple of dresser drawer knobs and we were trying to figure out what to do with them. I finally came up with an idea – a vision, if you will – and with the help of a friend of ours, my vision for a racing “wall of fame” came to fruition recently. I posted the picture on my Facebook page awhile back, so you may have already seen it, but I couldn’t resist posting it here as well. I am trying hard not to make it look too brag-a-docious, but I have to say, I am pretty proud of both my husband and I for what we have accomplished in just a few short years. So, in 2009, we participated in one race, a 5K, which we completed in 40:55. (Al used to run with me, but now, we run separately and it works so much better!) In 2010, there were nine races, including our first-ever 10K, which I ran in 1:09:33 and Al finished in 1:01:22. Then in 2011, we nearly doubled the amount of races we participated in and ran in 16 different events including a 7K and three more 10K’s. In 2012, we nearly doubled our races again, running in 27 different events, including our very 10-miler and our first half-marathon, the Rock-n-Roll Las Vegas Half-Marathon! I finished in 2:59:57 and Al finished in 2:05:45. Last year, 2013, we hit 30 races! We did lots of 5K’s, 10K’s, a half-marathon relay and another Rock-n-Roll Half-Marathon. This time, it was in San Jose and it was to celebrate our five-year wedding anniversary. That half-marathon went much better than the first – Al finished in 1:56:11 and I finished in 2:38:31. We both felt great! So far in 2014, we have finished nine races, including five 5K’s, a 7K, two 10K’s and one 10-miler. This weekend’s Fargo Half-Marathon will be our 10th race of the year and our 93rd race since it all began back in 2009! We are not sure what the rest of the year will bring or how many races there will be. We know for sure there is another half-marathon – another Rock-n-Roll series one. This time, in Denver, Colorado in October, which we are so looking forward to. There is one more for sure in May, four in June, possibly three in July, possibly four in August, one for sure in September, two for sure in October and who knows what November and December will bring. 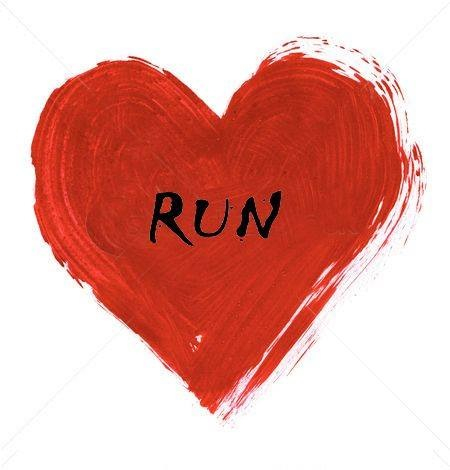 The one thing we know for sure is that we’ll keep running as long as our bodies let us. We love it. It’s us. It is our life. And we wouldn’t change it for anything! I’m so glad your asthma seems it be better, so is your Dad!! 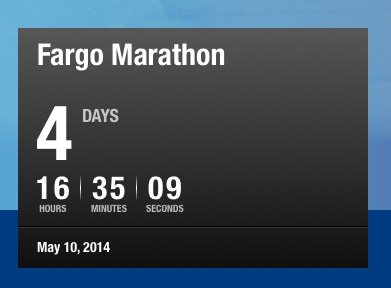 !Hope it still is not bad when you run the Fargo Marathon this weekend!! !Have a fun weekend!! !Dad & I are going to Mahnomin tomorrow to Shooting Star and Freddy is coming to have lunch with us!! I do so love that kid!! !Maybe because Josie & I were always so close!!!! So glad to hear the asthma was better. You are an inspiration! Thanks, Becky! The race was awesome. Hi Keshia! 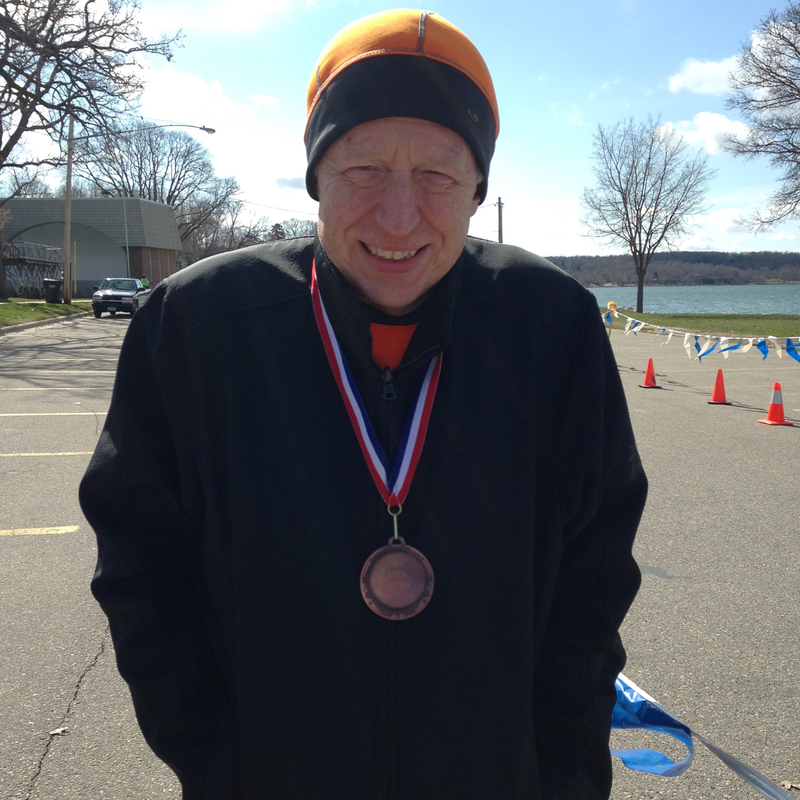 I didn’t see you at the Minnewaska race, but I am pretty sure I heard your name called when you won. Awesome job on placing third in your age group! That’s so fun! Nope, we don’t keep the bibs. Never have. Not sure why, but I think it’s because they get so mangled when running. If they stayed nice and crisp and clean, we might keep them. Although, I guess I did keep our bibs from our first half, which was in Vegas. I have them folded up in drawer! Hope the Fargo half went well for you! Good luck with your half-marathon tomorrow. Sounds like you are well-prepared and will have a good run. I’ll be thinking about you. Thanks, Elaine! The race went better than expected, although I guess I didn’t have too much expectation. Thanks for thinking about me! Previous Previous post: I. Have. Asthma. Period.